US Republican Senator Cory Gardner on Saturday urged US President Donald Trump to "call evil by its name" after a rash of violence broke out in Charlottesville, Virginia, during a rally organized by members of alt-right, white nationalists and neo-Nazis. MOSCOW (Sputnik) — In a short statement, Trump strongly condemned the racially-charged violence in Charlottesville, saying the events were "display of hatred, bigotry and violence," but refrained from putting the blame on any particular group. — Cory Gardner (@SenCoryGardner) 12 августа 2017 г. On Saturday, Charlottesville saw a major rally of far-right nationalists protesting the removal of a monument dedicated to Confederate Gen. Robert E. Lee. 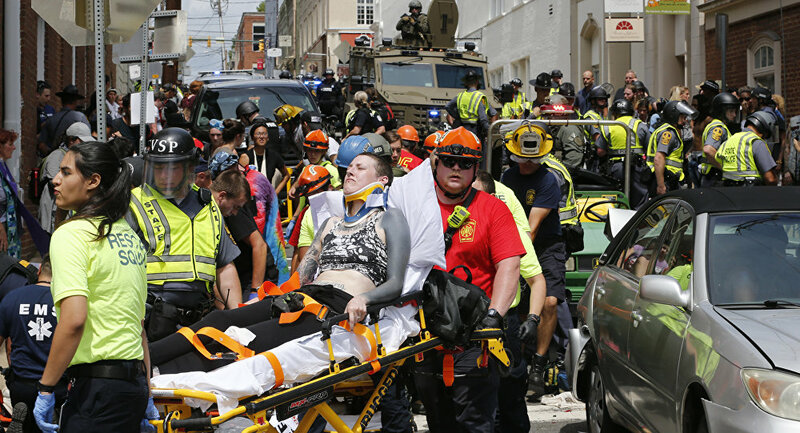 The rally, dubbed Unite the Right, which subsequently led to violent clashes between the demonstrators and counter-protesters and culminated in the car ramming attack. In response to the clashes, Governor of the US state of Virginia Terry McAuliffe declared a state of emergency in Charlottesville. At least three people died as a result of the events, McAuliffe said. A number of senators, including Ted Cruz, Marco Rubio, and Tim Scott, have condemned Charlottesville violence as an act of "domestic terrorism." — Donald J. Trump (@realDonaldTrump) 12 августа 2017 г.